Directors’ & Officers’ Liability What this is: Directors and officers liability Insurance (often called “D&O”) is liability insurance payable to the directors and officers of a company, or to the organization(s) itself, as indemnification (reimbursement) for losses or advancement of defense costs in the event an insured suffers such a loss as a result of a legal action brought for alleged wrongful acts in their capacity as directors and officers. insurance has all the essential features and functionality you need to power a successful platform are ready and waiting for you. Explore what each feature has to offer, and then visualize how you will use it to help your members and make your life easier. Directors’ & Officers’ Liability (D&O)—Directors’ & Officers’ Liability protects the directors and officers of organizations for decisions they may have made regarding the operation of the business, including mergers and acquisitions, which may cause others a financial loss. Legal costs could range in the tens of thousands of dollars and cause a great deal of hassle to the Director or Officer once again, regardless of merit. Fiduciary duty claims. Accusations of misuse of organization funds. Claims by employees. Disgruntled team members can claim discrimination, wrongful termination, breach of contract, invasion of privacy, and even infliction of emotional distress if they are unsatisfied with leadership. Claims by competitors or similar organizations. Unfair competition, claims of defamation or libel, and trademark issues. We want to build strong relationships with our clients. Your business is important to us. Our success is tied to your success! In this fast-paced, high-tech world, successful companies are going to need trusted partnerships to continue to be successful at high levels. We’ll be working hard to be that partner for you when you need us. Most insurance groups are interested in placing products. It often comes down to one or two sizes fit all! At KMKInsure, we work to produce solutions! By analyzing your business needs closely and working with your principals to clearly identify your risks and risk levels, we can access carriers to provide more precise solutions designed around your business’ specific situation. Everyone says that they have good service & support, but how many actually do? We do! We won’t just be there at renewal. We’ll be there when there are issues you need resolved, when you have questions, or just to say hello! Good relationships are built upon service and support. You can call on us and we’ll respond. 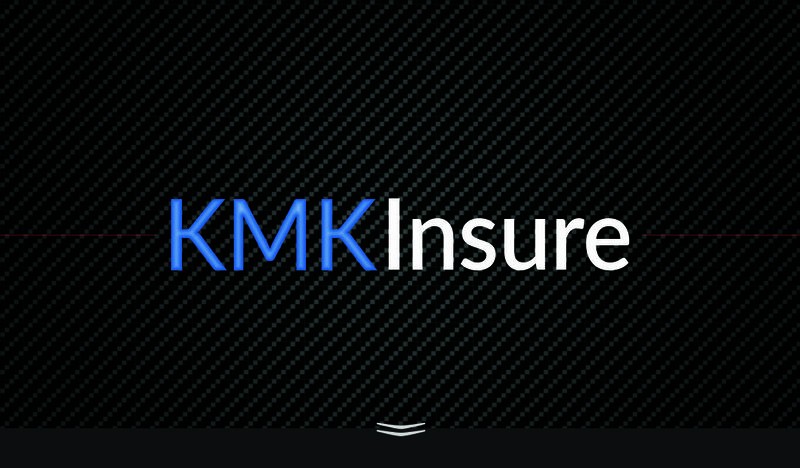 The insurance specialists at KMKInsure are here to help you with your business needs. To start, simply click the button below to complete a simple contact page. A KMKInsure specialist will contact you within one business day. Thank you for allowing us the opportunity to serve you, and your company! © KMK Group, LLC. All Rights Reserved. Auto insurance is a necessary tool to protect your loved ones and your property. At the same time, you need auto insurance in the event that you cause harm to others or damage the property of others while heading out on your daily jaunts. Point blank – it’s a pretty critical item to have in your arsenal. Hey, it is easy and convenient to shop for auto insurance online, that is, purchase insurance from a carrier online. Here’s the rub, are you sure that you made the right selections on the carrier’s website screens? Are you sure that you have the kind of protection that you chose for your unique circumstances was really what you need? Unfortunately, a great number of people start clicking in the name of “I just want to get this over with“. ntered in the online form, and that the policy that you were quoted will insure everything that is important to you. (PSST: humans are better! )Telematics is the new buzzword for a way to earn discounts of 5%, and up to 30%. In essence, insurance carriers are starting to separate the “bad” or “marginal” drivers from the others. The result is that driving “well” really does pay, in the form of discounts each time you renew. Some give 5% or 10% just for installing the small telematics devices in your vehicle(s). Also, some carriers can use your phone as a convenient telematics device. So, if you can avoid fast takeoffs and hard braking, get ready to pay less for your auto insurance renewals. Ask your KMKInsure agent for details. Many Quality Carriers to choose from, including State Auto, Safeco, Progressive, Foremost, Traveler’s, Encompass, among others. Your KMKInsure agent can walk you through the kinds of things that may be “a good fit” for your particular situation. Different discounts are available from all carriers. Telematics, above, is one example. Before a policy goes into effect, KMKInsure will work with you to see where you are eligible for discounts. Possible Savings by Combining with Homeowners or Renter’s Insurance, as well as finding the least expensive combination of policies – even with different carriers.